New Haven, Conn. — Joshin Raghubar, founder of iKineo, has been named a 2016 Yale World Fellow, one of only 16 people chosen for this prestigious global leadership development program at Yale University, one of the most elite universities in the U.S.
Raghubar joins a network of 291 Yale World Fellows representing 86 countries. “I’m delighted to announce the 2016 cohort of Yale World Fellows,” said Emma Sky, director of Yale World Fellows. They are wonderful sources of inspiration and mentors for Yale students,” she said. Yale World Fellows is Yale University’s signature global leadership development initiative and a core element of Yale’s ongoing commitment to internationalization. Each year, the University invites a group of exemplary mid-career professionals from a wide range of fields and countries for an intensive four-month period of academic enrichment and leadership training. “From public servants and elected officials to human rights advocates, filmmakers, entrepreneurs and journalists, Yale World Fellows are diverse, creative and energetic. They join our YWF network, committed to making the world a better place,” Sky said. The mission of Yale World Fellows is to cultivate and empower a network of globally engaged leaders committed to making the world a better place. The program is part of the Jackson Institute for Global Affairs, which prepares Yale students for global leadership and service through its master’s program in global affairs, master of advanced study in global affairs and undergraduate major in global affairs. Visit worldfellows.yale.edu for a list of the 2016 World Fellows and for more information on Yale World Fellows. Connect with Yale World Fellows on social media: Facebook, Twitter and Instagram. iKineo recently built a campaign on ‘Virtual Reality’ to develop a truly 360–experience on behalf of one of our clients. iKineo founder, Joshin Raghubar is named a Yale World Fellow: one of only 16 people chosen for this prestigious global leadership development program at Yale University. Stijn Smolders was recently appointed as CEO of Sprout Performance Partners, South Africa’s leading digital media performance company. The Cape Town based company was founded in 2013, and is as an offshoot from customer engagement agency, iKineo. The Assegai Awards, the direct marketing industry awards were hosted in Sandton on 12 November 2015. Customer engagement agency, iKineo had much to celebrate on the night after converting five of the seven entries into awards. 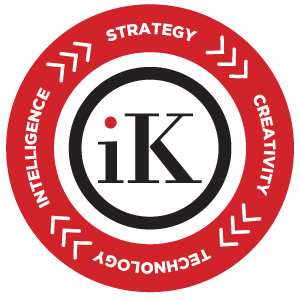 Since our beginnings in 2000, iKineo has grown from an innovative 1-to-1 marketing strategy and communications agency, into a leading pan-African customer engagement firm. We help our clients unlock the total value of their customers, which in turn, helps them win more customers, keep more customers and grow their value. We believe customer centricity is good for both profits and people. Our entrepreneurial DNA, strategy-led approach, innovative culture, creative finish and obsession with delivery enable us to work with our clients’ executive and marketing teams to develop and implement marketing and engagement models and solutions beyond the communications plan. We work across the disciplines of CRM, data, digital, direct, loyalty, mobile, promotions, social, performance, service design and strategy. Put another way – a client once said we’re half human, half amazing.